Housed beneath protective mineral glass lies the alluring split level cream dial complete with two gold stick hands and gold indices. 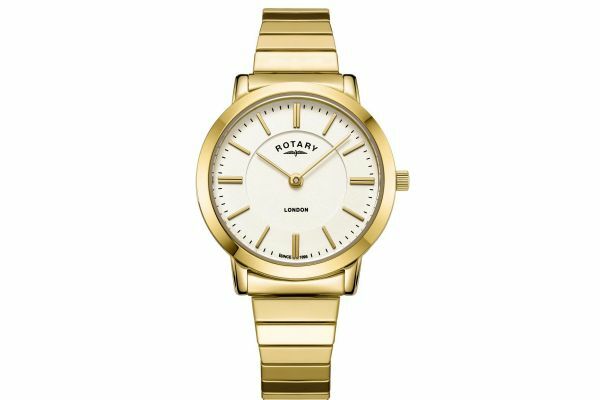 Set upon a gold plated stainless steel expanding bracelet, this watch does not need fastening and can be slid onto the wrist with minimal effort. Powered by Quartz movement, the London watch is water resistant up to 30 meters and comes complete with a two year guarantee and official Rotary packaging. 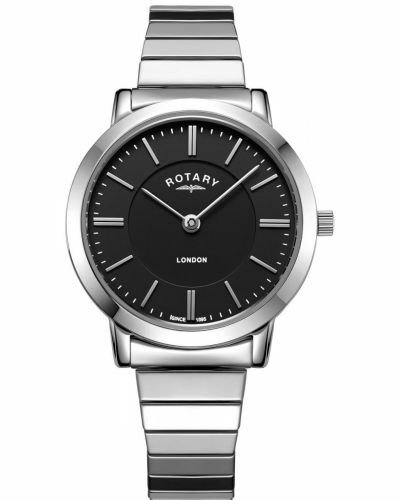 For us to size your new Rotary London watch as accurately as possible, please take a look at our downloadable Watch Sizing Guide.